For those who love delicate elegance, crystal figurines are a draw at any art fair. You can find an exquisite collection of animals, landmarks, instruments, flora and people. Crystal is glass with added sand, soda ash and limestone. Also up to 24% of lead could be added to the glass to enhance the brilliance and add weight. Lead also makes the glass more malleable for cutting into crystal figurines. Colors such as pink, lilac, lavender, red, blue and green can be added to the crystal to lend detail to the figurine. Crystal figurines have been a source of artistic pride and beauty for many years. They tend to be of iconic origin, and we try to emphasize the beauty in all of our crystal figurines. 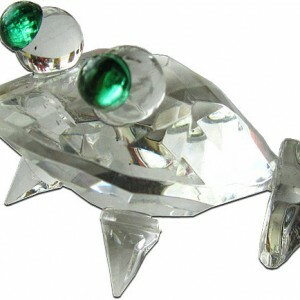 As we look to create true art rather than just generic souvenirs, you can find a varied style of different crystal figurines here on Your Crafts Fair. This lets you find a crystal figurine that truly provides you with the style and theme that you want and desire, not settle for something similar. We operate with the full knowledge and experience to create true crystal figurines that have an authentic, radiant feel to them. We take extreme pride in the work created here, and look to ensure that your crystal figurines give you that same pride. These make the perfect gifts for anybody who enjoys rare and cultured artwork, or they can be the ideal finishing piece to complete your artwork at home.